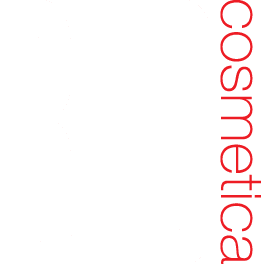 Red Cosmetica is the world’s first and only cosmetics brand devoted entirely to red lipstick. Our sole reason for being is to make damn sure every woman, anywhere in the world, can find her perfect shades of red lipstick in a heartbeat, from an expansive range of sumptuous shades that will make her feel like the most beautiful woman alive. All Red Cosmetica lipsticks are named with unique codes that tell you the skin tone they suit and the finish, to make it easy for anyone to find their perfect red. And for those who are still unsure of their perfect shade we have a unique What’s My Shade service that enables you to email us and have our beauty team send you their recommendation of at least 2 Red Cosmetica shades that will rock your world. Red Cosmetica lipsticks are enriched with Vitamin E to moisturise lips, non-comedogenic, hypoallergenic, cruelty-free and come in 15 long-lasting, highly pigmented shades of mattes, creams and glosses.